The Dragon Princess: Being a princess in a magical kingdom isn't easy. Especially if your best friends are a vampire, a troll and a wizard. And if you happen to be a magical princess who turns into a dragon when she gets cross, then things are about to get very interesting. It's hard to find suitors for large fire-breathing reptiles. 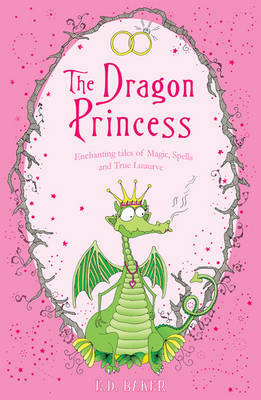 Join Millie, the Dragon Princess, on one of three enchanting, hilarious and unforgettable adventures. No Place For Magic: Princess Emma (aka The Frog Princess) takes centre stage again in quest to rescue a kidnapped prince. The Salamander Spell: Grassina, Princess Emma's wonderful, magical aunt, is herself a teen in this prequel that tells the story of how she meets her true love.